Multimodal trip planning is just a big term for having the choice of walking, biking or bus or to combine them into a single schedule. Â Â Since the Greenlink buses can carry up to 2 bikes on the front bike rack, a trip planner might suggest a few extra blocks in a different direction to catch a better schedule on a different route. Â There is a newÂ trip planner for Greenville that knows about bus and bicycle routing to give a preference to bike friendly roads such as bike lanes, sharrows, etc. There are some new bike lockers, called Bike Lids installed downtown near the Greenlink bus transit station, as well as the Spring Street garage. Â Â They may be rented, and add flexibility to plan bicycle transportation. A cool ride as seen at the Greenlink bus terminal in downtown Greenville. This photo was taken by Denton Harryman. Greenlink provides a multimodal service in Greenville. This photo was taken by Denton Harryman. 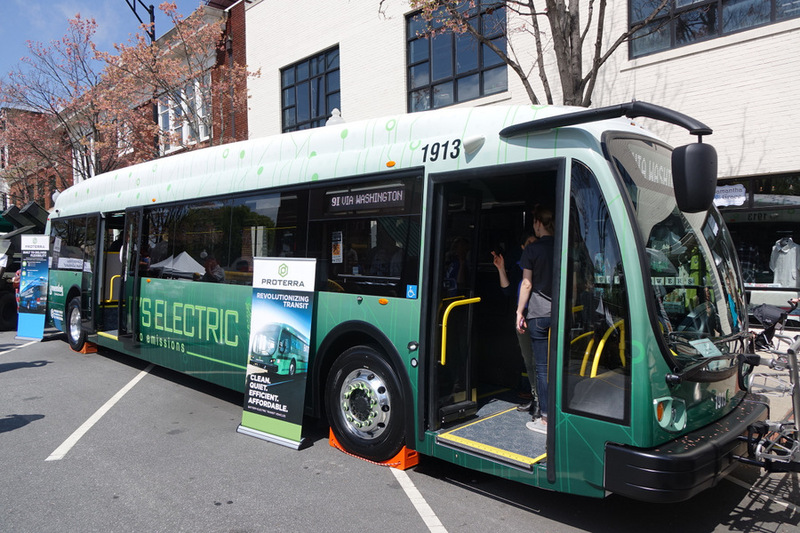 greenlink provides a multimodal public transportation service for Greenville.